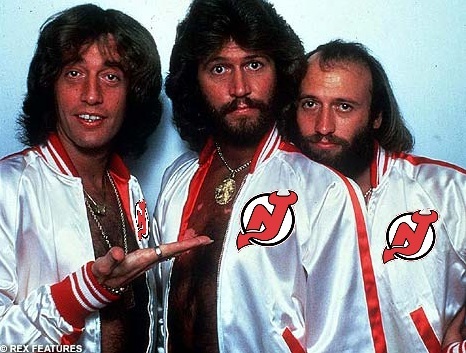 Much unlike the actual Bee Gees, the New Jersey Devils are staying alive (too soon?). After being 60 minutes from a sweep, the Devs have come back to make this a one game series. Although stats-wise, the Kings are favored to hoist the cup (stats) their play has been less than stellar in the last two games.Tonight the Devils officially ended the road winning streak the Kings have set at 11. LA fans continue to hold their breath in hopes they will be the first Stanley Cup winners in franchise history. If it is going to happen before the teams are on even ground, shots off the post need to go in, passes need to not be turned over, and for the love of all that is goaltending, Quick needs to stay near his net. « Shakeups Before the Summer: Rock the Red Tag Sale. EVERYTHING MUST GO!